There is a lot to consider when installing a new HVAC system: SEER rating, unit size, modulating, two stage… Clearwater Breeze Air Conditioning can help make sure you are getting the right HVAC system for your home or business and ensure that it is properly installed so you have years of trouble-free performance. If you need HVAC installation services in the Clearwater, FL area, don’t wait – call us today (727) 386-7270. We offer speedy services and affordable prices on quality work from NATE-trained and certified technicians. Many people make the mistake of choosing a HVAC system based on SEER rating. SEER rating, in technical terms, is calculated by the BTUs of cooling / watt-hours of energy averaged over a season. While SEER rating is a good indicator of efficiency, the system will still use more energy than necessary if the HVAC system is improperly sized or designed. A high-SEER rated unit is NOT going to be efficient if it is oversized or undersized. This is why it is so important to have a professional heating and cooling expert working with you from the start of the HVAC installation project. We Get HVAC Installation Right! No matter the size of scope of your HVAC installation project, we promise to commit our time and knowledge to make sure it gets done right within schedule and within budget. 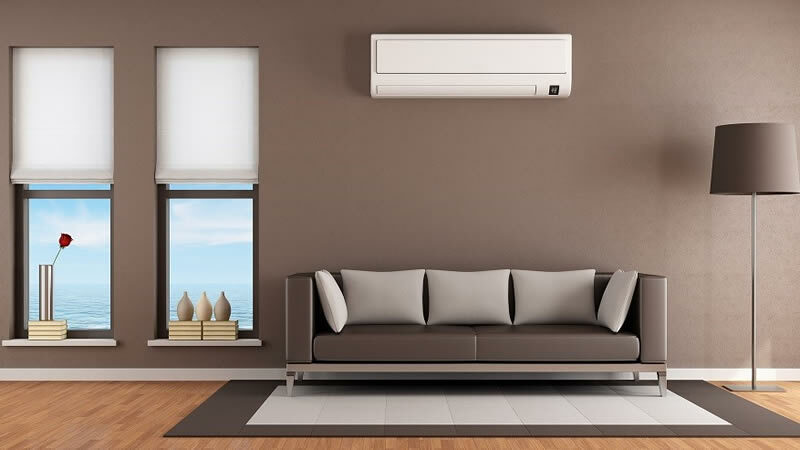 We understand the HVAC installation is a large investment, but one that will go a long way towards your comfort and also increase the value of your home. Should you decide to use us at your HVAC installation contractor, we will work closely with you and answer all of your questions so you can feel confident that you are getting the most cost effective and comprehensive solution to heating and cooling. All technicians are licensed heating and cooling experts and hold the elite North American Technician Excellence (NATE) certification, which is the highest standard for HVAC services. You can feel confident that your HVAC system will be well designed and installed by our experts. Commercial HVAC installation is much more complex than the typical residential system. This is especially true of industries like restaurants and manufacturing where temperatures can vary greatly between areas in the same building. Our commercial HVAC experts can help you navigate through the many factors you need to consider, including efficiency, space requirements, cost, energy zoning, maintenance and repairs, and future needs. Why Choose Us for HVAC Installation Services in Clearwater, FL? •	All Major Makes and Models of HVAC systems: We know it isn’t enough to offer one type of HVAC system! We are committed to choice and can install major makes and models of HVAC systems. •	Committed to Excellent Work: All of our technicians are licensed and certified heating and cooling experts who have undergone in-house training programs to ensure excellence and are certified by NATE. Even our dispatchers are knowledgeable of HVAC services so you get excellent service from the moment you call. •	We Save You Money! HVAC installation services are a big investment. We take steps to keep HVAC costs low for you – both immediately and in the future. Our experts work efficiently so the installation is affordable, and we use only quality materials and methods so you save on operating costs and maintenance. We provide free estimates for HVAC installation services in Clearwater. Contact us today to learn more.